Central Oregon Symphony is dedicated to enriching lives through dynamic symphonic music. Established in 1967, volunteer musicians devote countless volunteer hours to the task of creating a magical, full season of classical concerts for all in the community to enjoy. Through a generous donor base, Central Oregon Symphony provides unreserved tickets at no cost, making this meaningful art form accessible to all. Over the years, the orchestra has grown to become a major player in Central Oregon’s local fine arts scene. In addition to its regularly scheduled season of performances, Central Oregon Symphony offers several community outreach programs. The Children’s Concert, geared toward young music lovers, features an instrument petting zoo where children can enjoy an up-close experience with the instruments of the orchestra as symphony musicians play them. Symphony Stars allows musicians the opportunity to educate and perform in public schools throughout Central Oregon. 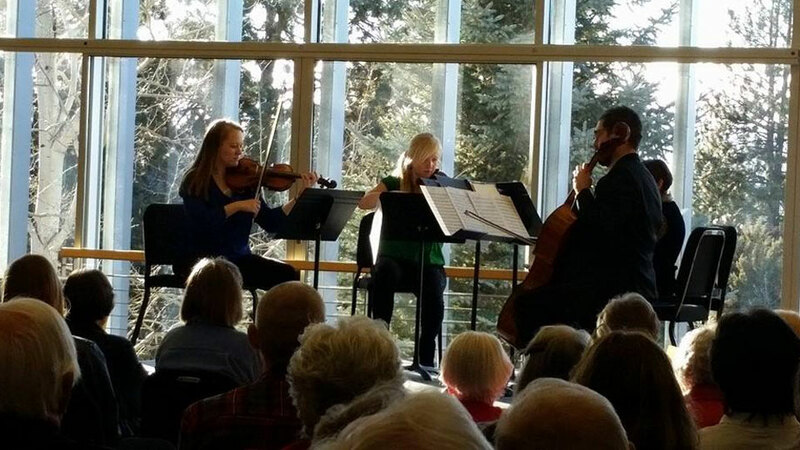 Music in Public Places is a partnership with local libraries and includes performances in LaPine, Prineville, Redmond, Sisters libraries along with Symphony Spotlight recitals at COCC Bend. The symphony’s annual Young Artists Competition celebrates the extraordinary musical talents of local youth and nurtures the next generation of musicians. Central Oregon Symphony invites you to visit their web site for the current season’s schedule of concerts.